In the First Book of Kingdoms (First Book of Samuel) we read that God closed Hannah's womb. The direct consequence of this, however, was that the door of Hanna's faith opened, and her noble personality and the inner work she had accomplished came to light. 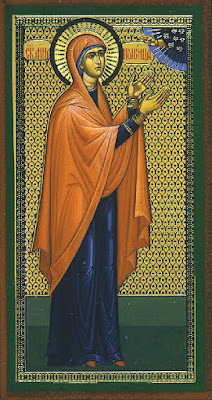 We shall now consider Hannah's visit to the Temple and the prayer she prayed to God. Hannah went to the Temple to pray to God after eating. When she stood before God, she opened her heart and prayed inwardly in her heart. Eli the priest saw her praying, but he did not hear anything. He looked at her mouth and saw that she was not speaking. This fact also made a profound impression on Eli's boy, who thought that Hannah was drunk. He actually reproached her and told her that she should leave the Temple. Hannah protested, saying that she was not drunk but praying to God. Then Eli gave her the blessing, that God would fulfill the request she made in her prayer. Hannah went home, full of joy and faith that God would hear her petition, but also Eli's blessing. In the passage we are considering, which describes the prayer made by Samuel's mother, Hannah, in the Temple (1Kg./1 Sam. 1:9-18), all the characteristic signs of what is known as noetic prayer or prayer of the heart are described. The Fathers teach that noetic prayer and even theoria of God existed in the Old Testament. There were figures in the Old Testament who attained to noetic prayer and even the vision of the glory of God. It is well known that Moses prayed to God silently and God said to Him, "Why do you cry to Me? (Ex. 14:15). Also, the Prophet Elijah prayed after putting his head between his knees, which indicates the hesychastic method of practicing noetic prayer. There is also David's familiar prayer: "Bless the Lord, O my soul, and everything within me, bless His holy name" (Ps. 102 :1). These too are expressions and signs of noetic prayer. It should be stated that when the holy Fathers spoke about purification, illumination and deification, they were influenced neither by classical Greek philosophy nor by Neoplatonism, but they had experienced and lived this reality. This experience of communion with God exists, though admittedly in a different form, in the Old Testament as well as in the New Testament. The experience of man's journey to God is one throughout Holy Scripture. If we examine many scriptural passages, we clearly see that they describe these states of the spiritual life. I have no intention of doing that here. At this point I simply wish to emphasize that in Hannah's case, which we are now considering, the existence of prayer of the heart (noetic prayer) is plainly obvious. Later on, when we look in detail at the life of the Prophet Samuel, we shall also see examples of theoria of God. For this reason, I believe that, if we interpret Holy Scripture apart from the spiritual life that is lived even today within the Church, and which finds specific expression in the stages of the spiritual life (purification, illumination and deification), we are unable to understand it. Then we misinterpret Holy Scripture instead of interpreting it. Let us look at the characteristics of prayer of the heart, as they are discussed in the case of Hannah. Her soul was "grieved" by reason of distress and pain. If we link this word "grieved" with the words "I pour out my soul before the Lord," we realize that this was not a formal prayer, but her union and communion with God. In those who have noetic prayer we see very profound repentance. Through the pain of repentance the nous enters the heart and is actually fixed there. The nous in this state is not distracted by the surrounding world through the senses. Prayer linked with tears bears witness to the presence of prayer in the heart. 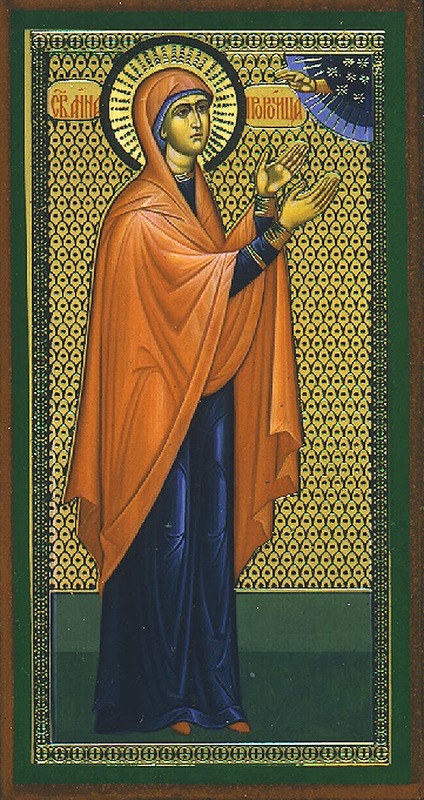 Holy Scripture tells us that Hannah was "lamenting and weeping." The holy Fathers regard tears as very significant, because when there are tears, this is a sign that the nous has been united with the heart. This applies above all to tears of contrition. Hannah's prayer was not prayed simply with her lips but was active in her heart. "She spoke in her heart." This shows that her nous had entered her heart. All man's efforts are concentrated on detaching the nous from the world around, so that it may return to the heart, where it really belongs. In Orthodoxy we have a specific method for achieving this return, a method known as hesychasm. That Hannah's nous had entered her heart and was praying in this way is clear from the fact that the boy thought she was intoxicated. He said to her, "For how long will you remain drunk?" It is natural that he should think this, as he was only familiar with so-called rational prayer and knew nothing about prayer of the heart. He could not understand how it was possible for someone to pray without speaking and without formulating the prayer in words. Those who are striving to pray noetically sometimes use their lips, though without saying the words of the prayer out loud. This is another way of fixing the nous on the prayer. Of course, when the nous enters the heart the prayer becomes self-acting and is then called noetic prayer or prayer of the heart. Hannah did not lose her senses, because someone who has noetic prayer is a completely natural human being, as this is man's natural state. Hannah's prayer was not just restricted to a few words but was poured out continuously. Holy Scripture says, "She kept praying." Noetic prayer is uninterrupted, constant. It never stops. In particular, there are times when it is extremely intense. It is like a river that sometimes has abundant water, sometimes less and sometimes none. Thus, although noetic prayer always creates in the individual a sense of God's grace, it is experienced to a greater or lesser degree at different times. Just as we spend a few moments eating and feel pleasure, but afterwards our whole organism is nourished and, without us understanding how, the food is changed into blood, so the same thing happens with regard to prayer. When someone experiences noetic prayer very intensely, they are full of joy and gladness. But even when this intensity is lost, effective work is accomplished, without them understanding it rationally, because their whole spiritual organism is nourished. After praying Hannah received the priest's blessing, "Go in peace." Through noetic prayer one receives profound peace and boundless freedom. Hannah's prayer is above all noetic prayer of the heart, which we find mentioned throughout Holy Scripture. From The Seer: The Life of the Prophet Samuel and its Relevance Today, pp. 29-40.